In last two years, however, traditionally dominated by foreign vendors, the safety and security market has experienced substantial changes due to the rapidly changing political and economic climate. A weak ruble and sanctions have prompted import replacement and localization efforts. If you are curious to know more about business opportunities in Russia, fill out the form to get the general market overview and our team will provide you with a whitepaper in 3-4 days. 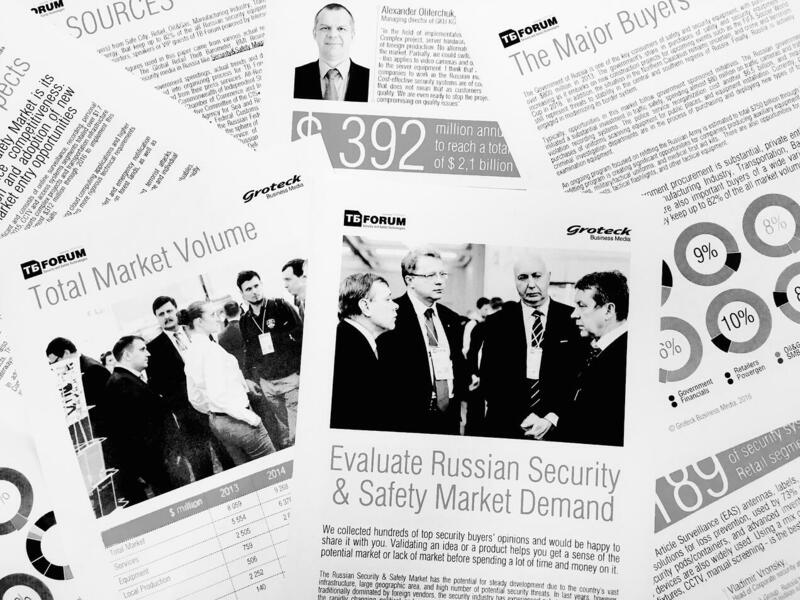 International companies have to identify opportunities and limitations in the Russian Security & Safety Market to get correct expectations what this marketing investment can bring to them. Let us find positive changes together with our key experts to clarify a real climate for international vendors.